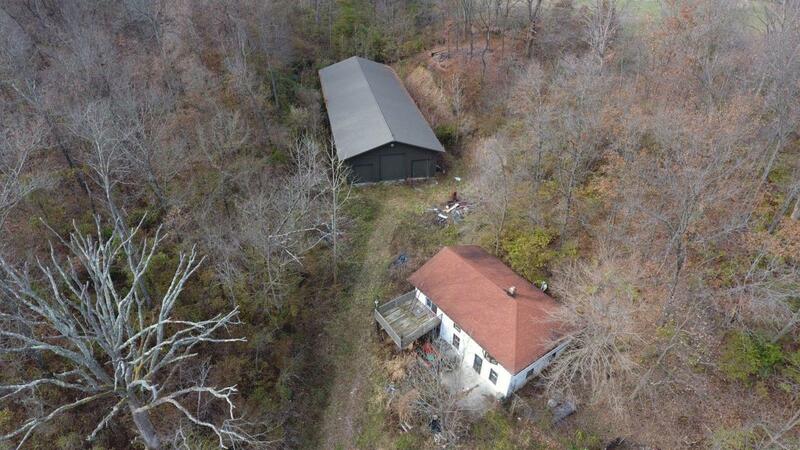 A Morton building measuring 42x120 with a 100 year roof, 3 electric insulated garage doors and a personal door with a 14 foot ceiling is nestled on 10 square acres. Plenty of game trails plus a creek runs through the property. All utilities are ready to be hooked up for a fee(s). The home is in need of some clean up. Currently a 2-3 bedroom with 1 full bath. There is plumbing for another bathroom in the storage area.